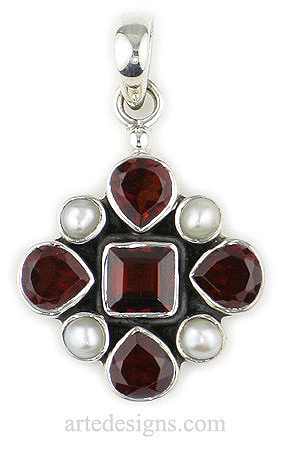 Gorgeous red garnets and cute petite pearls compliment each other nicely to form this radiant gemstone pendant. Garnets stand for true friendship. They also keep travelers safe, promote long lasting love, and prevent depression. Approximately 1 inch. Sterling silver setting.